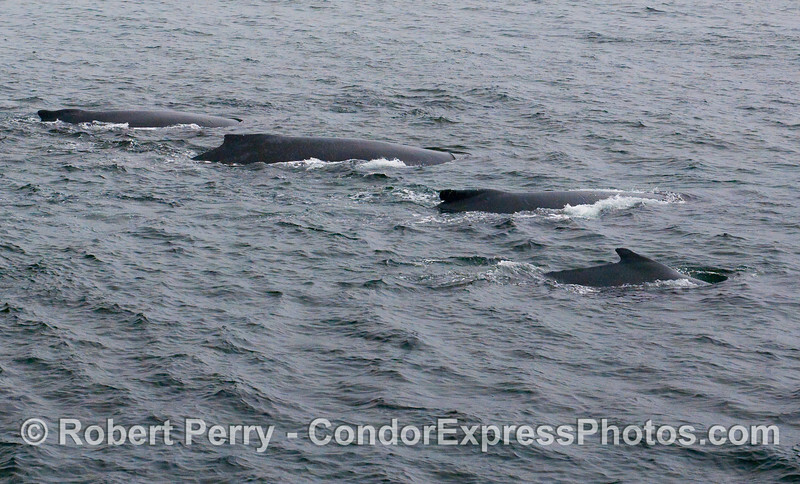 Tons of Blue Whales (Balaenoptera musculus), Humpback Whales (Megaptera novaeangliae), Risso's Dolphins (Grampus griseus), and Common Dolphins (Delphinus capensis) on a calm but overcast day. 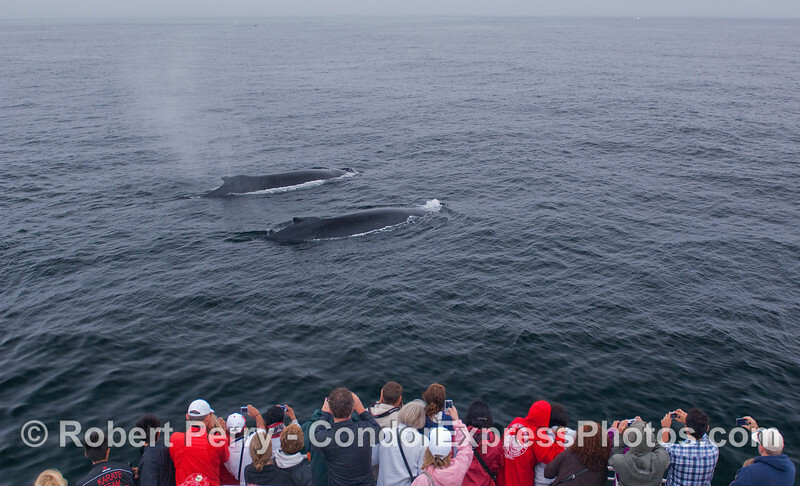 More whales per square foot than most people can even imagine. 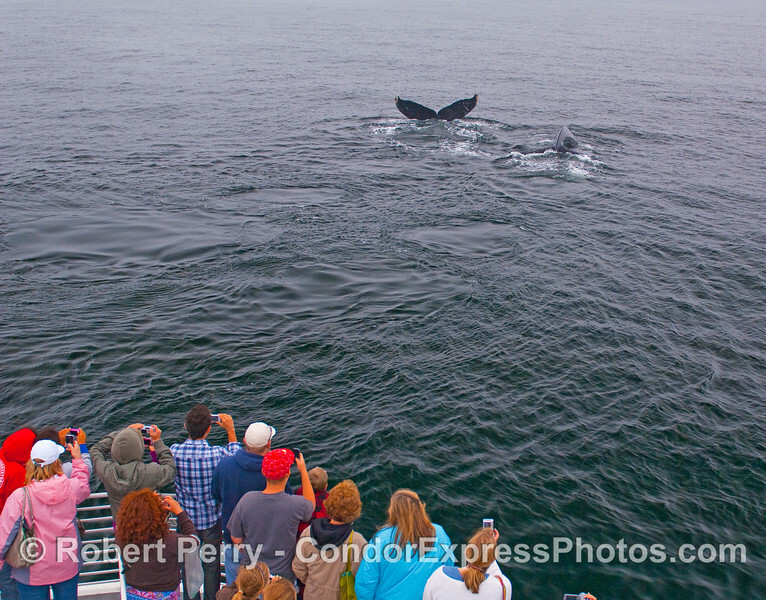 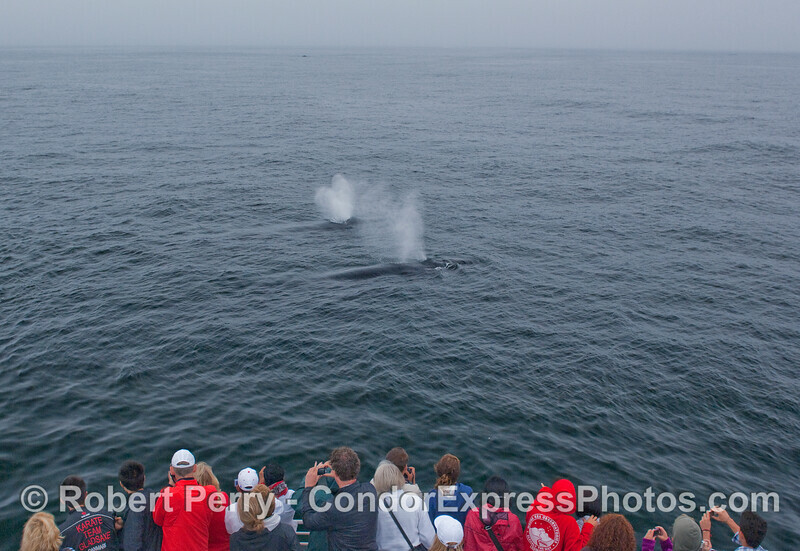 The whalers on board the Condor Express get a friendly visit by two Humpback Whales. 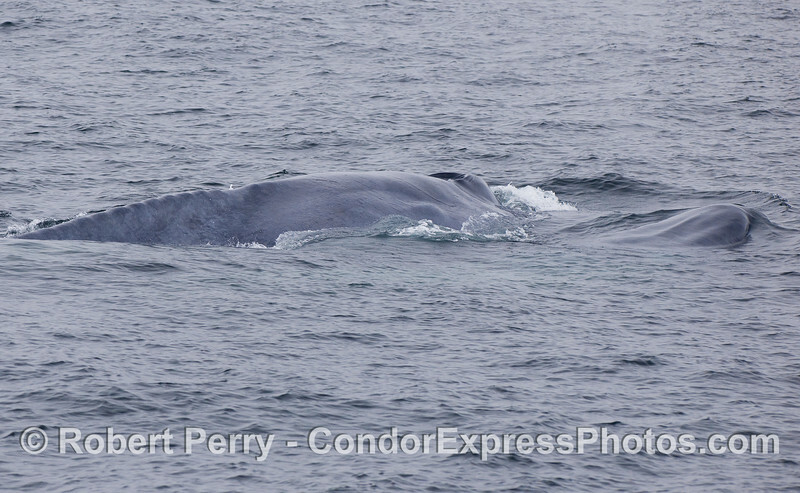 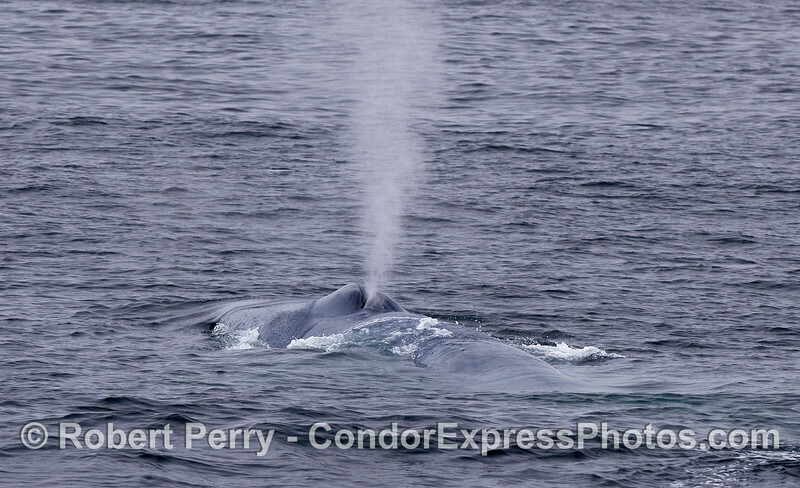 The sleek and hydrodynamic head of a Blue Whale rises to the surface. 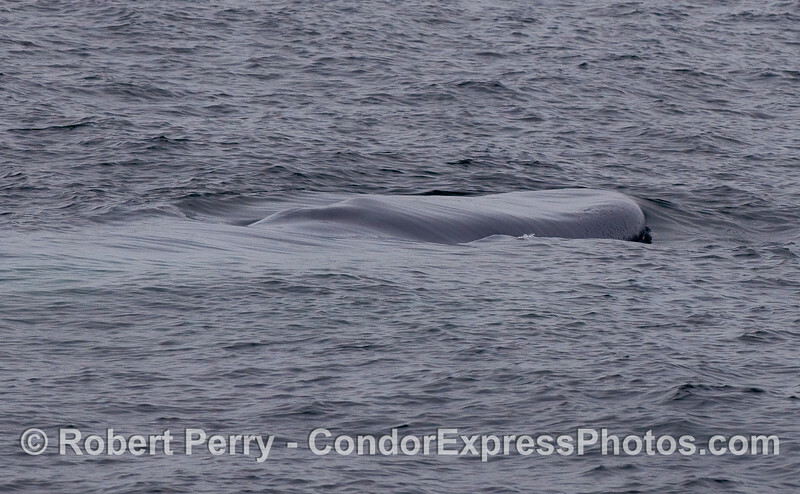 Playful Blue Whale calf rolling over next to its mother (under the surface). 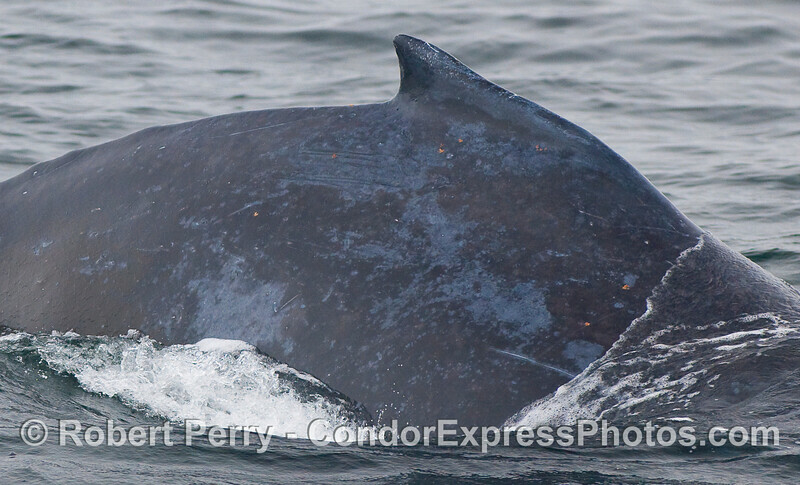 The entire outline of the mouth, ventral grooves and eye can be seen. 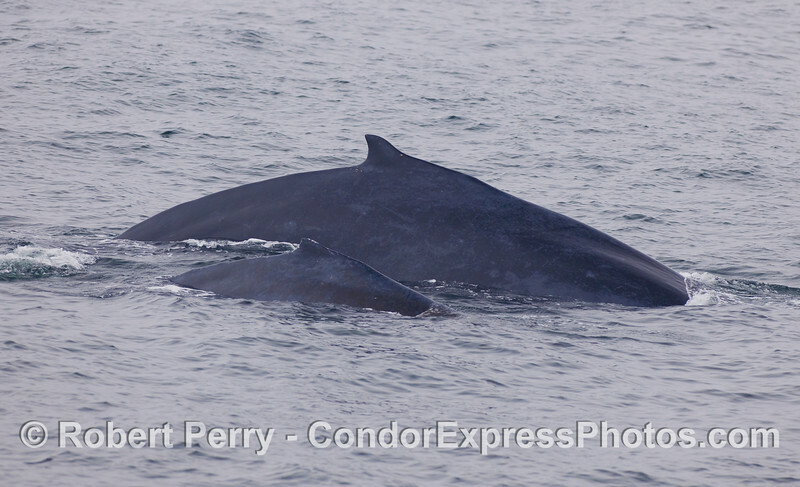 Mother Blue Whale and her calf. 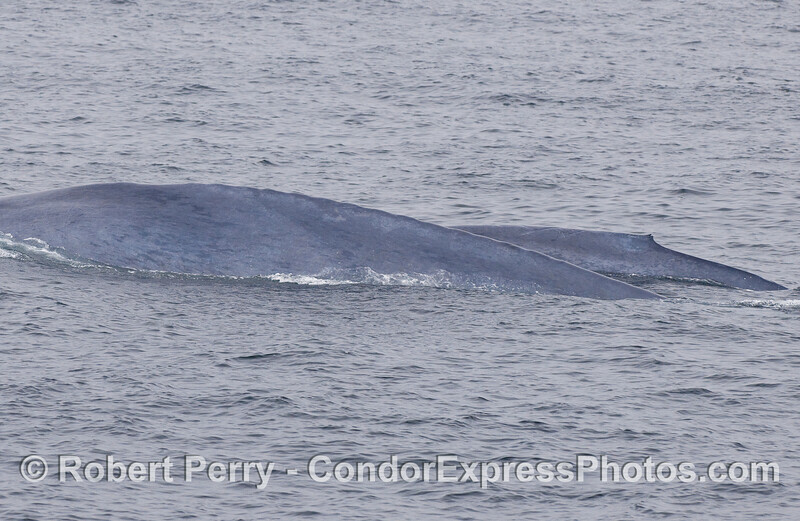 A mother Blue Whale and her calf. 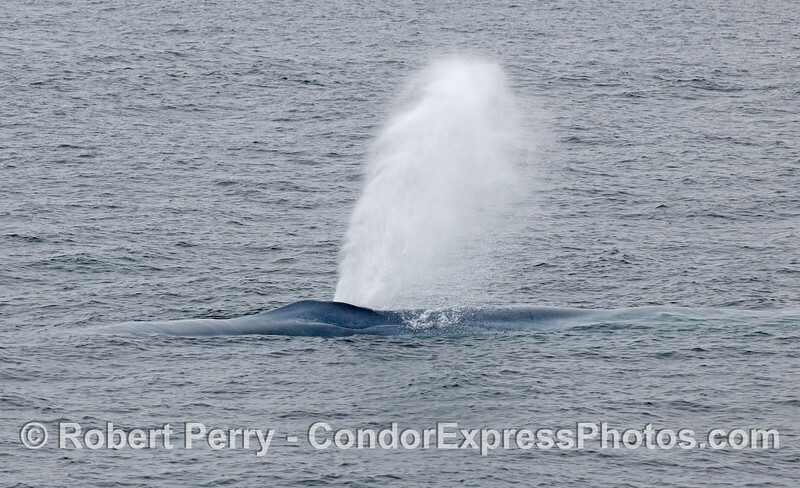 Another mighty blast from a Blue Whale. 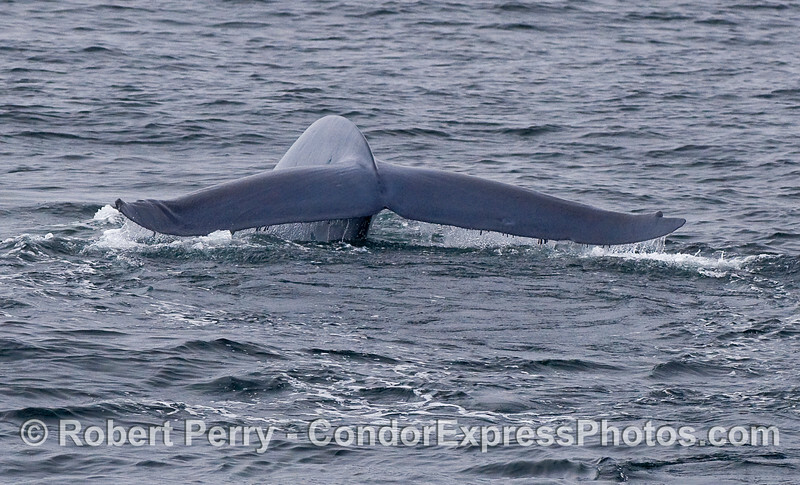 The beefy tail stock and flukes of a deep diving Blue Whalr. 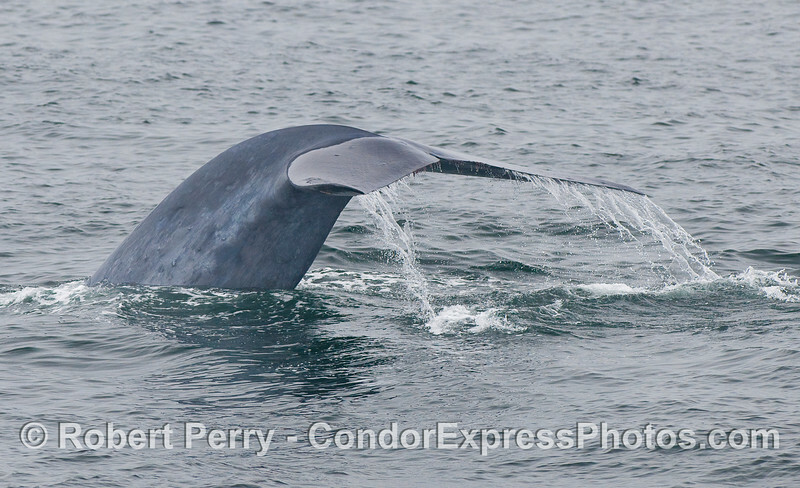 The very wide tail flukes of a Blue Whale. 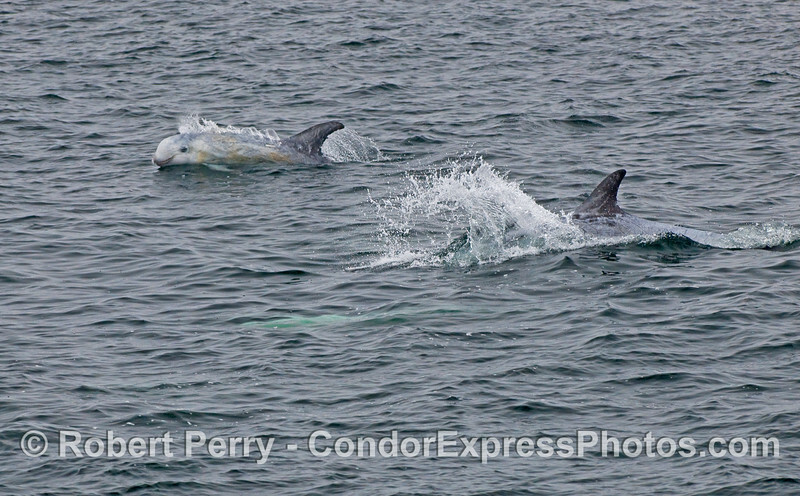 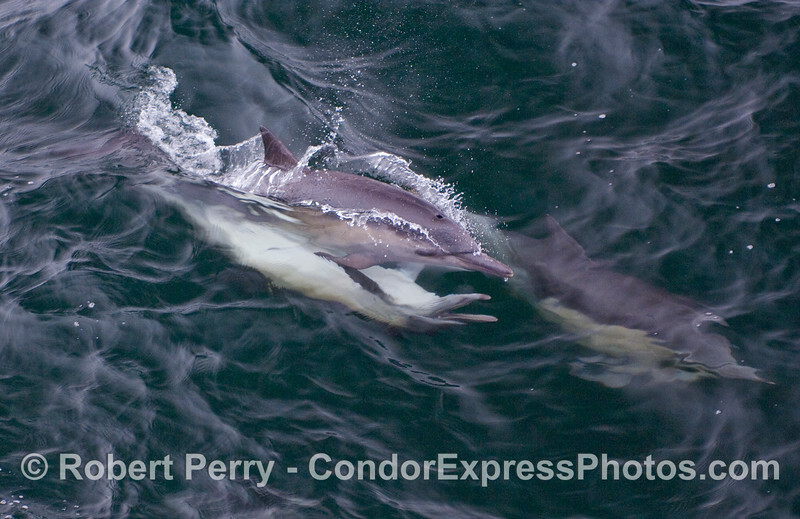 Common Dolphins mating...the male is on the bottom with its mouth open. 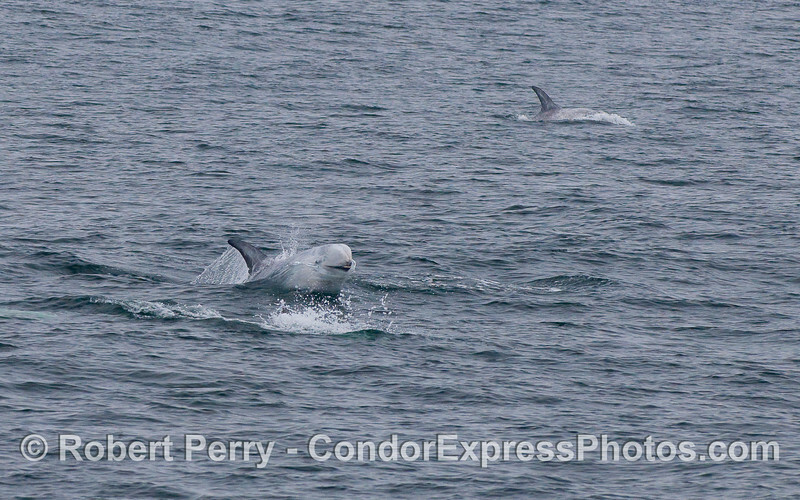 A Risso's Dolphin seems to smile as it leaps. 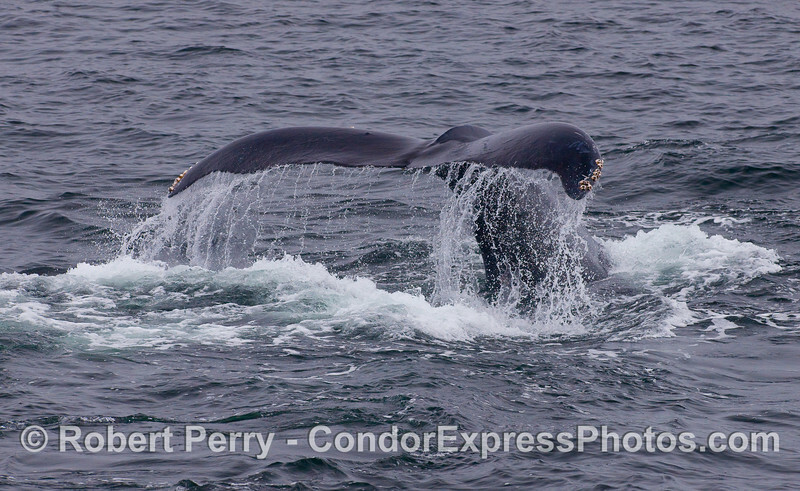 Three tail flukes in a row -- Humpbacks. 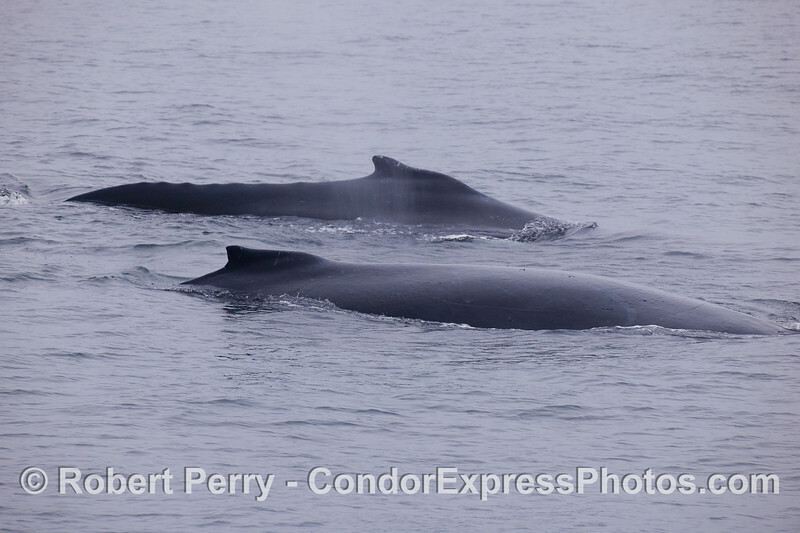 Mother and her calf: Humpbacks. 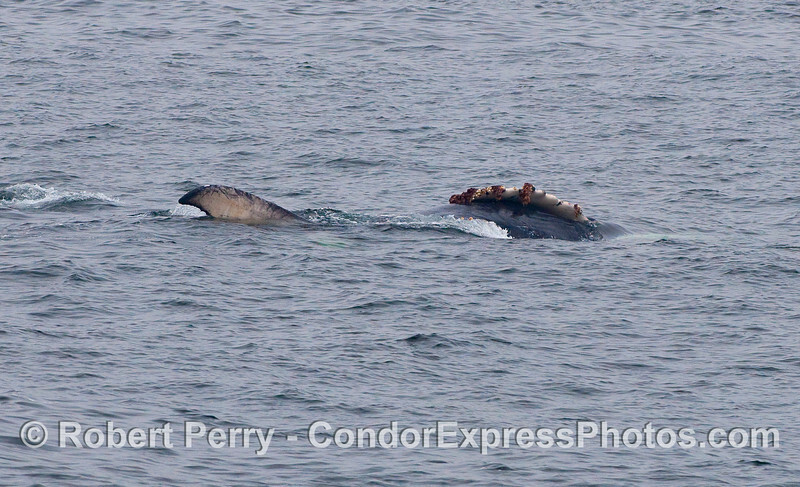 Young Humpback rolling around next to its mother (now under the surface). 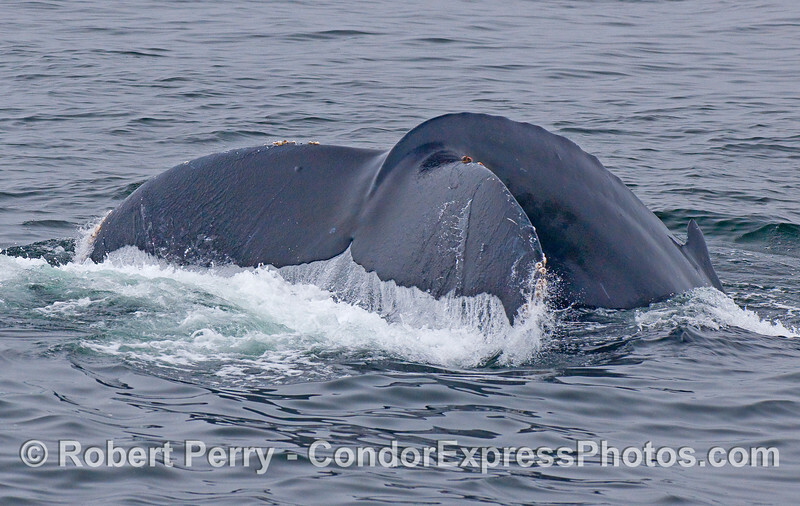 The high arch of a Humpback's back markes the start of a deep dive. 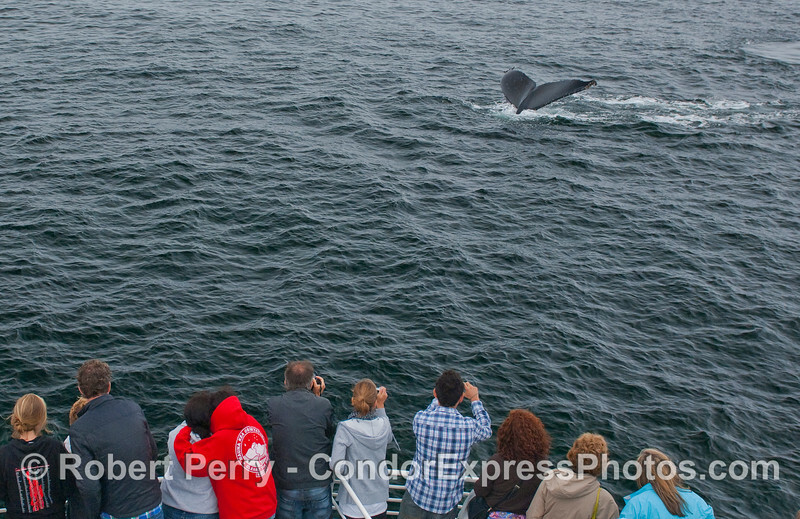 Whalers get a close look at Humpback tail flukes. 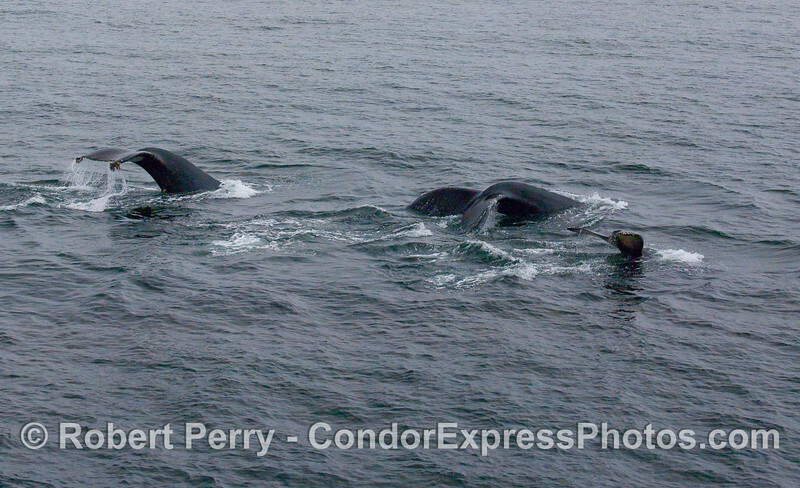 Twin spouts of very friendly Humpbacks. 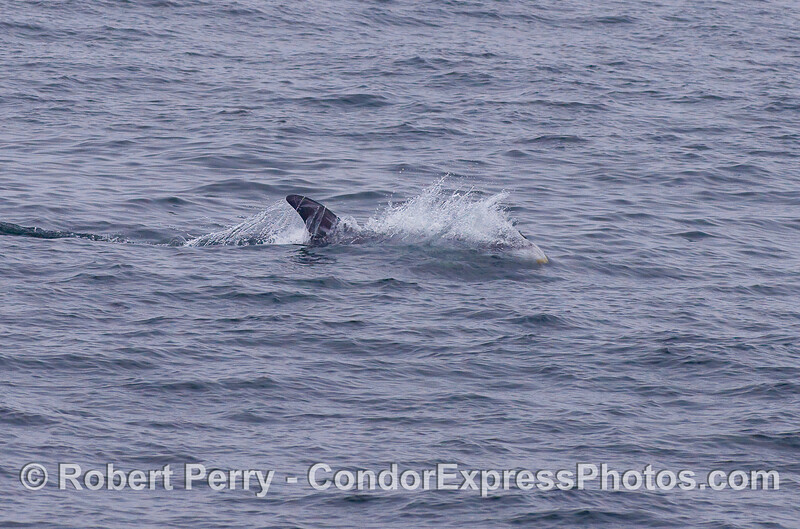 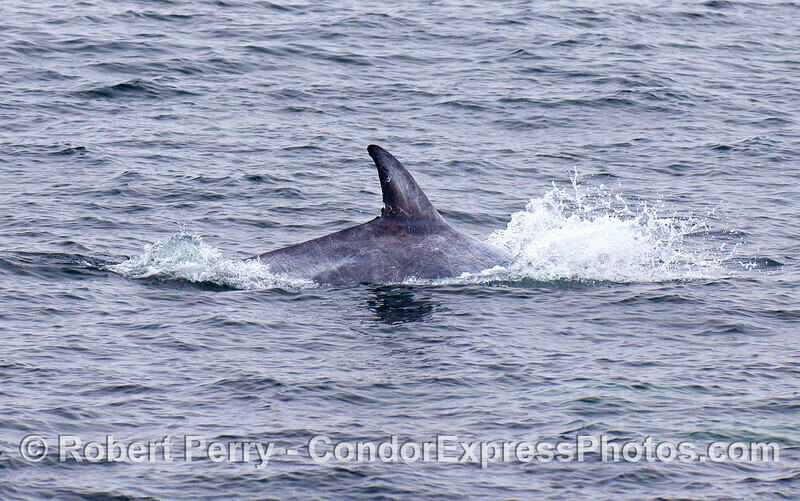 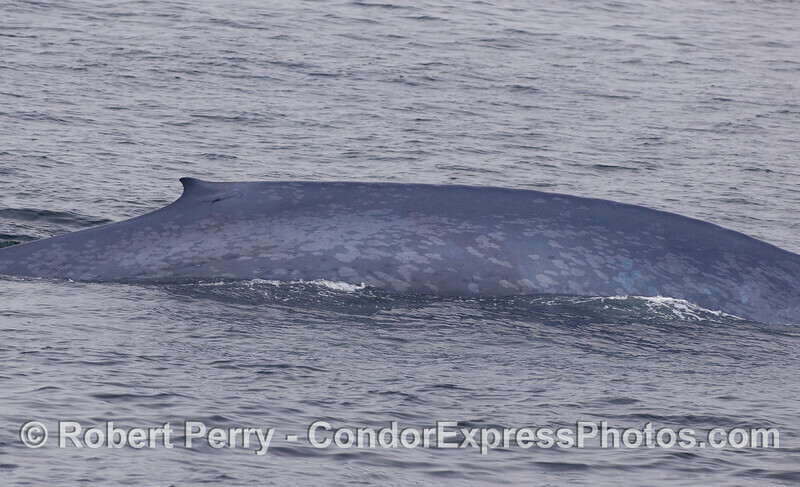 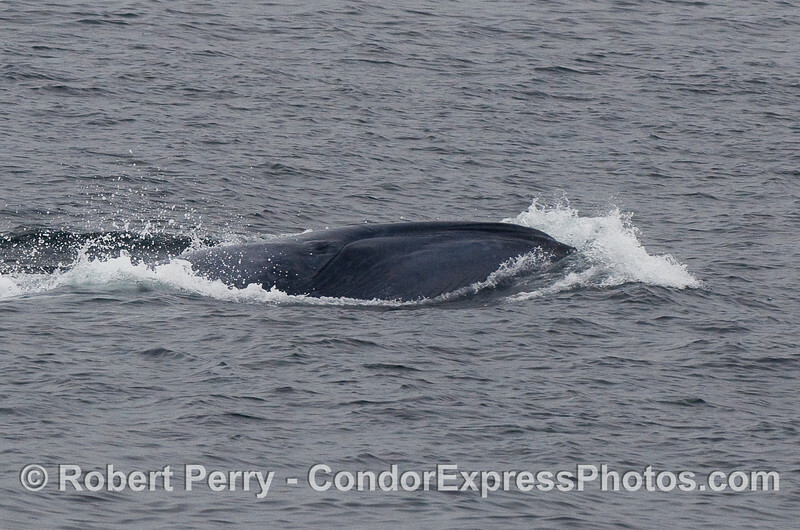 Whalers on the Condor Express again get great looks at two Humpbacks. 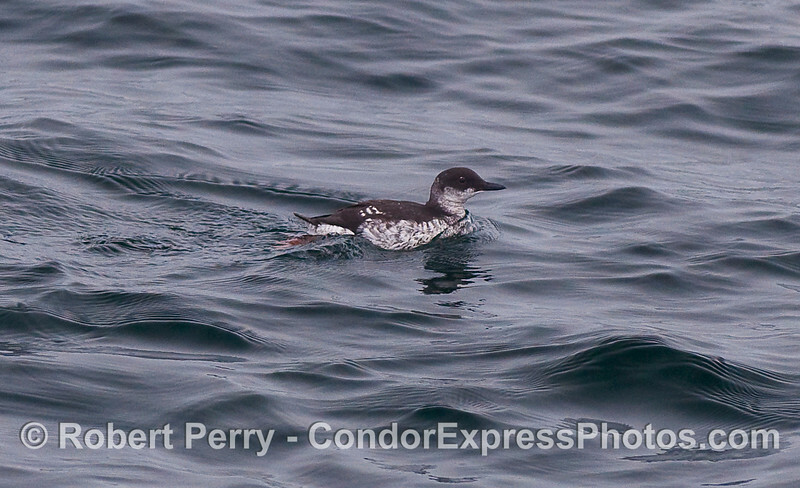 A Murrelet, a seabird that dives deep to catch fish. 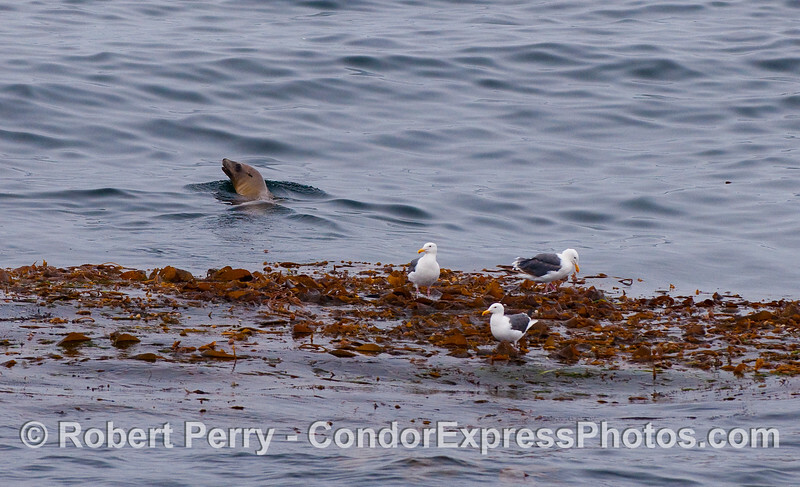 Three Western Gulls (Larus occidentalis) and a California Sea Lion (Zalophus californianus) hang out near a Giant Kelp (Macrocystis pyrifera) paddy. 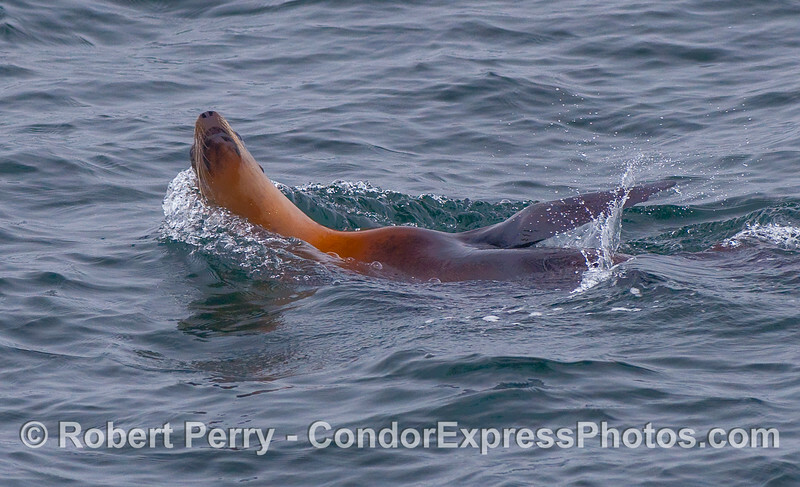 A playful California Sea Lion (Zalophus californianus). 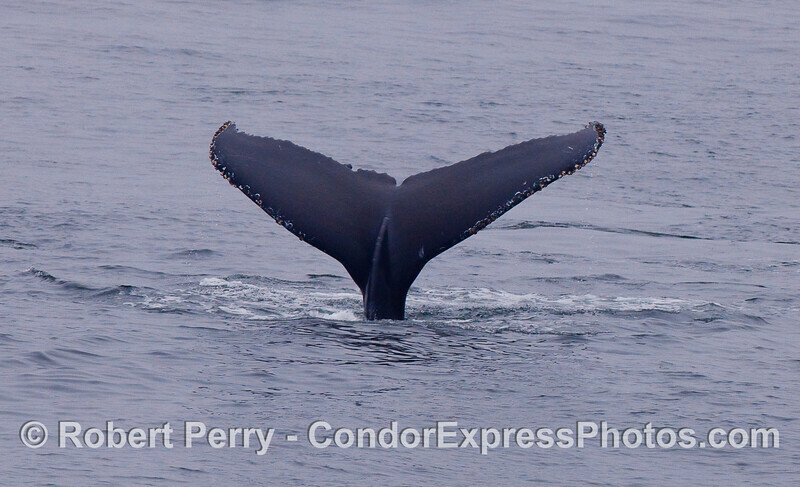 High and dry. 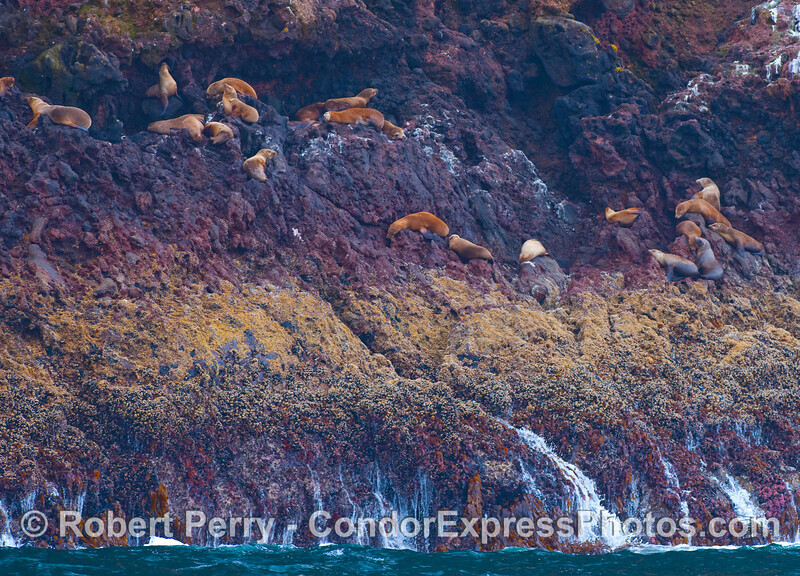 California Sea Lions way up above the water line at Santa Cruz Island.